Myths and misinformation still keep many people in the dark — and that’s bad news for their health. We tapped a handful of lung cancer patients and Bernardo Goulart, MD, a physician-scientist with Fred Hutchinson Cancer Research Center, for insights into what the public — and sometimes even doctors — are getting wrong about a disease projected to kill nearly 155,000 Americans this year alone. The late neurosurgeon Paul Kalanithi, MD, author of “When Breath Becomes Air,” had symptoms for months before he went on to be diagnosed with metastatic lung cancer, Goulart said. By then, the cancer was too advanced. Recent studies show only about 3 percent of eligible adults receive LDCTs. HICOR health economist Josh Roth, PhD, delved into why these scans are underutilized in a study earlier this year that asked 20 participants, all current or former smokers, their motivations for screening. The majority were screened because a trusted doctor had recommended it. Prior to that, most had no idea they were even eligible for it. Fred Hutch public health researcher Jaimee Heffner, PhD, who studies tobacco cessation, interviewed 83 smokers who’d undergone LDCT scans at one of four Veterans Affairs medical centers about lung cancer screening and smoking. Results showed that almost 40 percent of participants believed lung cancer screening somehow cut their chances of getting lung cancer. Nearly half thought a LDCT scan was just as effective as quitting smoking as a way to reduce death. “Our results illustrate just how wide a gap exists between the expectations and the reality of lung cancer screening benefits among some groups of current smokers,” Heffner wrote in the paper. 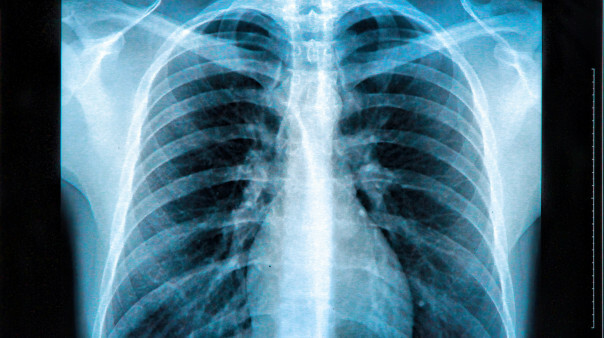 Goulart and HICOR colleagues Roth and Scott Ramsey, MD, PhD, charted the progress made in lung cancer over the last 25 years and found the one-year survival rates and three-year survival rates have actually doubled, from 14 to 28 percent and from 3 to 6 percent, respectively. This article was originally published on November 15, 2018, by Hutch News. It is republished with permission.